"Con 552 presenze in maglia bianconera e un palmares che comprende sette scudetti, una coppa dei campioni e un titolo di campione del mondo, Gaetano Scirea è un’autentica bandiera juventina, nonché un giocatore rispettato da chiunque ami il gioco del calcio. Perché non sono soltanto le vittorie che danno a Scirea, uno dei liberi più forti di tutti i tempi, un posto di rilievo nella storia dello sport italiano. Dietro i successi, infatti, c’è una vita intera a dimostrare come al di là del campione ci fosse un uomo capace di passare da un polveroso campetto di Cinisello Balsamo ai palcoscenici internazionali con la stessa umiltà, la stessa correttezza, la stessa volontà di essere prima che di apparire. Racconto profondo ed emozionante, Cercando Scirea è un libro dedicato a una vita vera, scritto in punta di penna affinché il ricordo vivo dell’uomo non sfumi nell’immensità del calciatore, e perché piccole paure, errori e persino sconfitte lo restituiscano com’era, fino a un minuto prima del fischio finale: un uomo limpido, pulito, leale". "With 552 appearances for Juventus and a C.V. that totals seven Scudetti (Italian Serie A titles), a European Cup and a World Cup title, Gaetano Scirea is an authentic Juventus flag-bearer. As well as a player respected by everyone who loves football. Because there are not only victories that were given by Scirea, one of the strongest liberos of all time, a reference point for Italian football. Behind his successes, in fact, there was a whole life to show that beyond the great player there was a man capable of coming from a dusty little field in Cinisello Balsamo to famous international arenas with the same humility, the same comportment, the same desire to be the first one to show up. 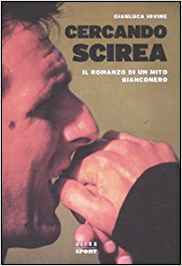 A profound and emotional story, Cercando Scirea ('Looking For Scirea') is a book dedicated to a real life, written in a perspective so that the true remembrance isn't lost in the immensity of the footballer. And because a few fears, mistakes and even defeats portray him as he was, up until the minute before the final whistle: a clear, clean and loyal man." --- Gianluca Iovine, (@cercandoscirea) author of "Looking For Scirea: A Novel About A Mythical Juventus Player," published initially by Boopen LED in 2010 and Castelvecchi Editore in 2011 with a price of €18. Image courtesy of Sito Ufficiale Cinisello Balsamo. and seven Italian titles (Scudetti). Gaetano Scirea. When I hear that iconic name, the first thought that comes to mind is composed elegance. We normally don't associate "elegance" with one of the best defenders to ever play the game; however, that was how he played. His life was tragically cut short at the young age of 36 during a scouting trip for Juventus in Poland during September, 1989. An entire nation mourned Scirea. Not only for his prowess on the soccer pitch as one of the best liberos/sweepers of his generation, but also for Scirea the man. 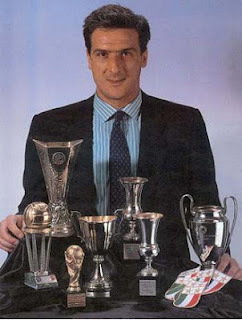 Gaetano Scirea was someone who did not seek out attention or fame during his life. His composed, disciplined and quietly confident manner spoke volumes. This story needed to be shared with a younger generation that never had the privilege to watch Scirea lead the Azzurri and Juventus to glory. We are fortunate that Gianluca Iovine decided to tell it in such brilliant detail. This novel is not only about Scirea but chronicles Italian football from the 1960s to 1980s: From the agony of the Heysel Stadium tragedy, to the ecstasy of the World Cup triumph in 1982, with many less compelling events included for good measure. If you love calcio history, you will not put this book down easily. I liked how the Italian journalist and screenwriter, Gianluca Iovine, decided how to tell this story. He used a unique literary device to great affect: the entire story about Scirea is told by Nino Jeranò, a childhood friend of Gaetano. This book is structured into six diaries that Scirea's old friend maintained. Many years later, Jeranò sent the faded notebooks to Riccardo Scirea so that the younger man could learn more about his father. "Those notebooks are now yours. When you feel the need to to think of your father, open them. You'll discover so much about him, a secret world, that nobody has ever told you about. It's true. He was the best of them all, but only by reading will you understand why." Gaetano Scirea and his son, Riccardo. Image courtesy of Comune di Torino. "I have seen young players, people, but this Scirea is frightening. I say that he'll become one of the best footballers in the world. Word of Seeler." "At the final whistle, the match ended, 0-0, and Gigi Riva for the first time was surprised by the young opponent who had stopped him: Scirea. At the end of the game, a great pat on the shoulders escaped from Riva on his opponent's shoulders. Then, an icy look and a nervous laugh: Gaetano had won the challenge, and (Giulio) Corsini (Atalanta's manager) his bet. Perhaps a football star was born who came out from the defensive phase with the poise of a prince, head held high and the ball glued to his feet." "Gaetano Scirea, at four years of age, was already a child with special sensibilities. He didn't talk a lot but the few phrases he did say were enlightening. He had his own world which instead of being characterized by children playing games, or Trentuno Saves Everyone, endless matches existed, seasons that lasted whole afternoons. Where Juventus, Internazionale and AC Milan always faced him and only in his dreams. He imagined in the place of a wall a green pitch and a goalkeeper to beat. Strong like Mattrel, or like the great Ghezzi. It wasn't only a wild daydream of a four-year-old, but above all, a little adult." «Bambini, la composizione di quest’oggi è: “Da grande vorrei essere”.«…Ma se non ci riuscirò, quando sarò grande, farò il maestro. Aiuterò le persone, insegnando. Così, mio padre e mia madre saranno davvero orgogliosi di me». Il maestro Bosetti era curioso, decise di approfondire. Congedò tutta la classe, restando da solo con il piccolo Gae. Aveva intuito che il suo alunno non sognava una cattedra ma uno stadio. "Children, today's composition is 'What would I like to be when I grow up.' "... But if I don't succeed, when I'm grown up, I'll be a teacher. I'll help people by teaching. So, my parents will really be proud of me." The schoolteacher, Mr. Bosetti, was curious, and decided to do further research. He dismissed the entire class except for little Gaetano who remained alone. He guessed that his student didn't dream of a classroom but of a stadium. 'And therefore, you dream of being a footballer... Your parents want you to become a schoolteacher if I've understood properly?' 'It's that my father doesn't want it. He says that I must only think of my studies.' "
'And you, how old are you, about 19?' 'Yes, almost 19 years old, coach!' 'Call me Giovanni. Then you might call me coach if I'll have the good fortune to manage you.' "
Andrea Agnelli, President of Juventus FC, dedicating "Corso Gaetano Scirea," in 2012. "Luciano Moggi was a railwayman with a hobby of soccer. With the trusted Galletti, he used to scout talented young players. And a few of his discoveries had made themselves indispensable to many Serie A teams. 'President (Boniperti), take Scirea instead. He's the sweeper that is useful to Juventus. On (Franco) Causio, we'll think about it later. Let's put Franco on the wing. With his dribbling, he can go for some years. He's mature." "It was the first real interview for Scirea as a Juventus player. As the tape recorder rolled, the impression remained of all the simplicity of this young man Scirea, now in Turin, but undoubtedly tied to his province, to his family, to the little customs that made him very different than so many of his teammates. One thing, however, struck Carlo (Nesti) more than anything: that 'thank you' whispered at the end when they said good-bye. Usually, it fell upon journalists to thank the star players and the interviewer had to be wary not to be told the customary, 'screw off.' Nobody had ever thanked the pundit and Scirea demonstrated personality even in this." "But to see Gaetano Scirea being a fireman to put out the offensive flames of Claudio Sala and Francesco Graziani (Torino players), had been a spectacle. Gianni Agnelli, who only became emotional when he read "J" in the newspapers, and Giampiero Boniperti, who died of anxiety in the stands, or Edoardo Agnelli, a passionate fan, but who was blind to recognize the merits of the opponents, they were forced to see the Torino 'cousins' on par with Juventus, and Castellini (Torino's goalkeeper) was as at least as good Dino Zoff." "Your father invented a back heel worthy of the devil himself that was transformed into an assist for Tardelli. And Marco latched on enough to make it explode into a left-footed bomb as he was falling down. They seemed like two gunmen in a film by Sergio Leone, Gaetano and Marco. The goal in the 69th minute and time stopped. Everything seemed frozen for long screaming moments. Gaetano watched as his teammate ran towards the camera in sheer joy. Harald Schumacher, the rock-solid German keeper, was motionless, and Marco celebrated by running around the pitch in a time-warped scene that would become an icon of football." «La voce di Tacconi e Scirea era chiara, anche se scossa dall’emozione: la Juventus si rifiutava di giocare, Boniperti voleva che a parlare fosse il solo Scirea, e tuo padre ribadì la volontà della squadra... Dall’altoparlante si levò come un sospiro. Era la voce di Gaetano Scirea, pacata e tremante al microfono: «La partita verrà giocata per consentire alle forze dell’ordine di organizzare l’evacuazione del terreno. "The voice of (Stefano) Tacconi and Scirea was clear even if full of emotion: Juventus was refusing to play, (Giampiero) Boniperti only wanted Scirea to speak. And your father voiced the desire of the team... From the public address speaker, a sigh arose. It was the voice of Gaetano Scirea, calm and trembling, at the microphone: 'The game will be played to comply with the authorities to organize an evacuation of the playing field. Stay calm. Don't respond to provocations. We'll play for you.' "
"With bitter sarcasm, Michel Platini explained his truth: 'It's sad, but it's the law of the spectacle. You must play. When a trapeze artist dies at the circus, they take him away and the clowns come in." Maradona took the notebook and scribbled something. He gave it back. Here it was: 'To Riccardo with friendship. Diego Maradona, El Diez (Number 10).' Gaetano shook his hand was getting ready to leave. Maradona stopped him. 'I didn't forget that foul at the 1982 World Cup, hombre,' and he gave him an affectionate barb: 'Your son already has a champion in his house... Well, Captain, now I want your autograph. For me!' "
"After the benediction, while the teammates and brothers of Gaetano carried the casket on their shoulders, among the applause that rained down, the President (Boniperti) looked to get close to your mother who avoided him. It wasn't the time to talk. Boniperti then remembered the haste of a wasteful trip and Gaetano who didn't want to go to Poland. He sent him there, and wasn't able to forgive himself. Then, in silence, the funeral procession slowly approached the outskirts of the city. Gaetano was to be buried in the cemetery at Morsasco, the small village where he loved to stop and chat with people, teaching the children the secret of every great footballer: sacrifice." Sergio Brio, Michel Platini and Paolo Rossi. 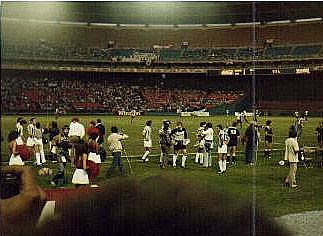 On a hot summer day in August, 1983, Gaetano Scirea and his Juventus teammates walked right by me on Pennsylvania Avenue in Washington, D.C. They were going to meet Vice President George Bush in his office. Mr. Bush, who actually played high school soccer, was a friend of Gianni Agnelli. I was too timid to address Scirea, his teammates or to even ask for an autograph. All that I could manage was a "Forza Juve!" and Sergio Brio smiled, and gave me a thumbs up. I caught a brief glimpse of the Scirea's legendary elegance and Stile Juve, and it never left me. Reading this novel brought back great memories of the glory days of Juventus and the Azzurri, along with their quiet leader who will never be replaced. Cercando Scirea, even in fictional form, is one of the most in-depth looks into the life of Gaetano Scirea that has ever been compiled. Gianluca Iovine has given us a treasure trove in this wonderfully written novel. Please take advantage of it if you can. Gianluca Iovine in Reggio Calabria. Gianluca Iovine. Nato a Napoli nel 1971, ha vissuto a Trieste, a Torino e a Milano prima di trasferirsi, per amore, nella Piana di Gioia Tauro. Sceneggiatore, ha tratto Cercando Scirea da un soggetto cinematografico scritto con Claudia Carlino e Paolo Spotti. Gianluca Iovine was born in Naples, Italy, in 1971. He has lived in Trieste, Torino and in Milan before moving, for reasons of love, to Piana di Gioia Tauro (Reggio Calabria). A screenwriter, he developed Cercando Scirea from a film script that he wrote with Claudia Carlino and Paolo Spotti. He also wrote the novel, "Il Gigante Al Tramonto." ('The Giant at Sundown'). When he is not writing, Gianluca is a European and India travel consultant for CartOrange. Dagli Stati Uniti una bella recensione del mio romanzo "Cercando Scirea" del giornalista Steve Amoia, che ringrazio di cuore. I received a complimentary review copy of this book from the author. I was not financially compensated for this article by the author, publisher or any other party who would benefit from a positive analysis. All original Italian text is copyrighted (c) by Gianluca Iovine and used here with his kind consent. 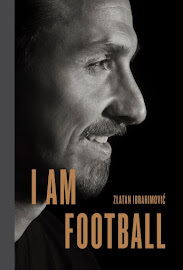 I discussed this book with Anto on Beyond The Pitch. 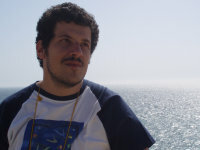 Steve Amoia is a freelance writer, book reviewer and translator from Washington, D.C. He is the publisher of World Football Commentaries and The Soccer Translator.